Lowell, MA is a great place to call home.It's a peaceful sort of place that anyone could enjoy, and we are no different. Lowell is the fourth largest city in all of Massachusetts, and is considered by most people to be the birthplace of industrialism in America. The population here in Lowell is close to 106,000 people, all of whom we welcome to experience our garage door company and the professional services we offer. We are proud to call Lowell home here at Garage Door Repair Lowell. 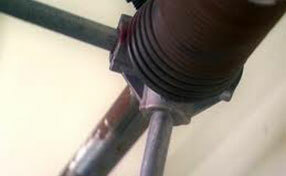 If someone were to ask us what we do more than anything, we would have to say broken spring repair. 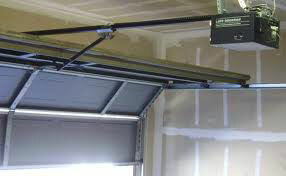 Garage doors make use of either extension springs or torsion springs, and sometimes both types. Either way, they are under stress much of the time due to the role they play in the mechanics of a garage door and are often the first thing to go bad in a garage door. Our garage door contractor can offer repairing broken spring, installation, replacement, and safeguarding of the garage door springs. If you are in search of the top quality services regarding your garage doors, please look no further. Just visit our offices and see what Garage Door Repair Lowell brings for you. Our garage door company has been providing professional services for as long as we can remember, and our goal is to continue providing those same excellent services to all of our customers both old and new. We always try our best to provide the best, that's how we have gained the respect from all of our previous customers, and it helps our new customers make an informed decision. Let out experts handle your entire garage door needs today! Another problem that people with garage doors run into is a problem involving the garage door’s opener. This part of the garage door provides the raw power needed to close and open the door, as well as to stop it in the middle of the process in case of emergency. It too goes under a lot of stress and often needs a repair or an entire replacement. They come in three main types being chain drive, screw drive and belt drive. Each has its up and downs, such as price or volume of operation. Our garage doors’ repair company in Lowell can provide repair, installation, replacement and maintenance of the garage door opener well-liked brands, such as Sears, Marantec, Genie and Chamberlain. 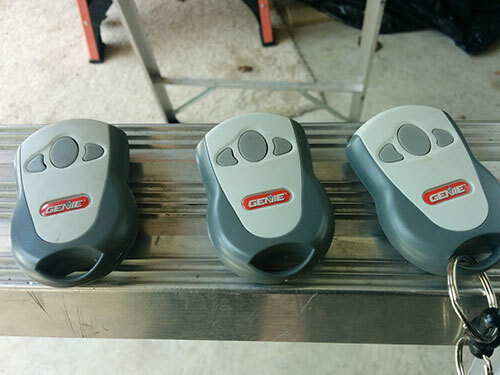 When the problem isn't in your garage door opener, then it could very well be your garage door remote. This system allows the remote controlled access of your garage door as well as some security features. Our garage doors Repair Company can repair, install, replace, or perform maintenance on your garage door remote such as these brands: Liftmaster Security+, Genie Intellicode, Multicode and Clicker. Your garage door is important to you, and it's important to us that it stays in good shape. If ever you need repairs with your garage door we can help. We offer the finest types and brands of garage doors for new installations and replacements, and can also provide garage doors repair and maintenance. Anytime you need a new garage door we can offer these types and more: Steel, Glass and Craftsmen, Aluminum and Wood garage doors. All you need to do is to visit Garage Door Repair Lowell offices in Lowell for more information anytime we are open. We can be located at 172 Middle St.
You should also consider your money. Note that not all quality garage door openers are expensive; there are also those that are affordable. Even though the modern garage doors and the electric operators, which they are equipped with, are quite sturdy and durable, they are still not fully protected from damage and other issues. In these high-tech times, electric garage door openers are in vogue, because they allow you to open and close the garage door by just the click or touch of a single button. This means that you won’t need to get out of your vehicle anymore to just manually open the gate.